El Jardín Del Retiro is a botanical-ornithological garden situated in Churriana, just outside Málaga city centre. The estate is almost 350 years old. It spans a huge 140,000 m2 and contains around 6,000 animals of 400 different species, including birds, reptiles, mammals and fish, in both freshwater and saltwater ponds. It has been called one of the most beautiful gardens in all of Spain. The grounds are renowned for their rare juxtaposition of French, English, Italian and Moroccan styles, and breathtaking views of the coast, the mountains, countryside and the city skyline. In 1984 El Jardín del Retiro was declared a National Historic Monument. One of the most famous aspects of the gardens is El Olmo, a 200-year-old elm tree, the oldest piece of flora within the estate, as well as some 30,000 palm, cypress, magnolia, and fruit trees which can be seen within the vast grounds. Construction of the gardens began in 1669, at the same time as the construction of the estate of Santo Tomás Del Monte, founded by Fray Alonso Santo Tomás, then Bishop of Málaga. The estate was originally an ornithological museum dedicated to the scientific study of birds. When the bishop passed away in 1694, the Counts of Villacazar took control of the land, expanded it, and turned it into a private garden – its original elements remained. The name of the estate was later changed in memory of its founder, to El Retiro de Fray Alonso de Santo Tomás. The gardens are split into three separate sections: El Huerto, El Patio and Jardín Del Cortesano. The Patio and the Jardín Cortesano were both designed by Architect Martín Aldehuela and named by Juán Temboury Alvarez, and are themselves subdivided into smaller sections. El Huerto is the oldest of the three gardens; it has been conserved since the estate was first built in 1669. It is set out in the shape of a cross, in the centre of which is a fountain decorated with tiles from Seville, called Fuente de la Batalla. The cross-shaped garden in flanked by a selection of fruit trees (including avocadoes). El Patio is rectangular in shape, and is situated directly adjacent to the palatial house to which the gardens belong. In the centre of the gardens sits a fountain made of Italian marble, called La Sirena, which takes the shape of a Mermaid and a Merman embracing. Jardín Cortesano contains many smaller areas, on individual platforms and levels; Jardín de la Fuente, La Sirena, Jardín de la Cascada, El Laberinto, and La Tumba del Obispo (which, strangely, does not contain the tomb of the bishop). 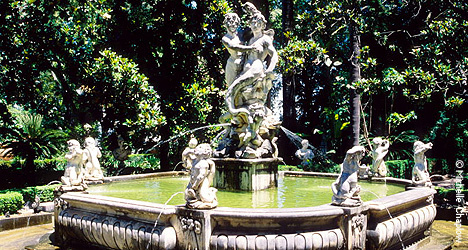 This area of the estate is designed in an Italian style and is filled with numerous sculptures and water features created by local Málaga sculptor Juán Chaez; some are life-sized sculptures which sit in the water, designed to enhance and highlight the flow and movement of the rivers and streams. Another of the sculptures is of a shepherd playing the flute accompanied by his dog. The estate is in private ownership and has not been open to the public since about 2010. Environmental campaigners and botanical experts are campainging for this protected garden to be open for inspection. 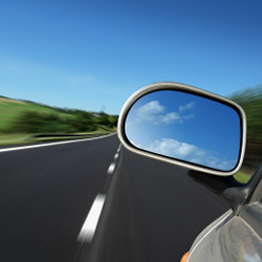 The estate is situated just five minutes outside Málaga city centre and 35 minutes from Marbella.